There are no comments for Sunrise At Cattlewash 4. Click here to post the first comment. This Sunrise series was inspired by Cattlewash Beach on the east coast of Barbados, so called because farmers used to bring their cows here for a seabath! 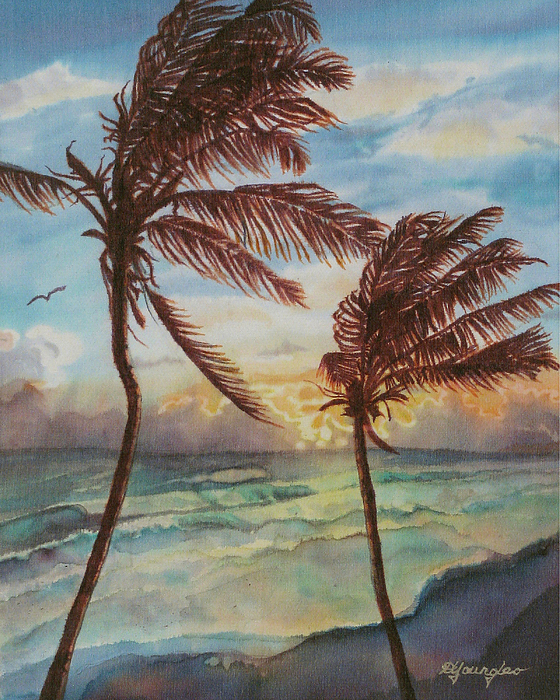 It's very windy here, and I love watching the coconut fronds, on their spindly trunks, being whipped around by the wind.